James Monroe was born on April 28, 1758, in Westmoreland County, Virginia. 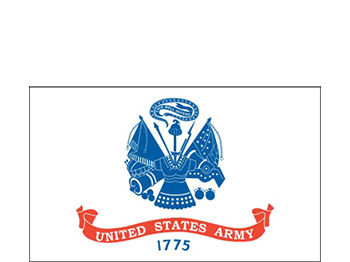 He enrolled in the College of William & Mary in Williamsburg, Virginia, in 1774, but dropped out in early 1775 and was commissioned into the 3rd Virginia Regiment of the Continental Army. Major Monroe participated in raiding the arsenal at the Governor's Palace in Williamsburg in June 1775, and was with General Washington when he crossed the Delaware River on Christmas Day, December 25, 1776. The next day he fought at the Battle of Trenton where he was badly wounded. After recuperating from his injuries in 1777, he was appointed a Lieutenant Colonel in the Virginia Militia, and was commissioned a Colonel in the Virginia Militia in 1780. After leaving the Virginia Militia later in 1780, Monroe studied law under Thomas Jefferson and then served as a Delegate to the Congress of the Confederation from Virginia from November 1783 to November 1786. He served as a United States Senator from Virginia from November 1790 to March 1794, followed by service as United States Minister to France during President George Washington's term from May 1794 to September 1796. Monroe served as the 12th Governor of Virginia from December 1799 to December 1802, and then as United States Minister to the United Kingdom under President Thomas Jefferson's term from April 1803 to February 1808. He again served briefly as the 16th Governor of Virginia from January to April 1811, followed by service as the 7th United States Secretary of State on President James Madison's cabinet from April 1811 to March 1817. During this time, Monroe also served concurrently as the 8th United States Secretary of War under James Madison from September 1814 to March 1815. He was elected the 5th President of the United States in December 1816, and served from March 4, 1817, to March 4, 1825. 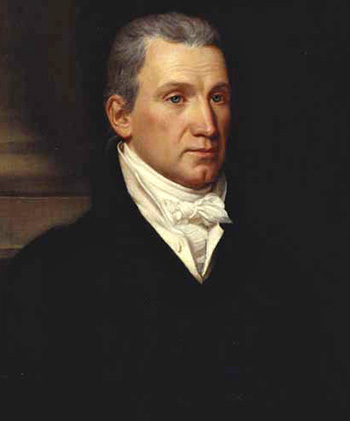 James Monroe died on July 4, 1831, and was buried in the Gouverneur family's vault in the New York City Marble Cemetery. He was re-interred to the President's Circle at the Hollywood Cemetery in Richmond, Virginia, in 1858. James Monroe was one of 3 United States Presidents to die on Independence Day. He was also the last President who was a founding father of the United States, and the last President that fought in the Revolutionary War.